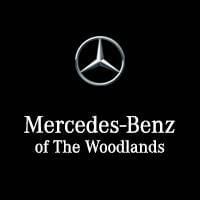 Service is an ongoing commitment at Mercedes-Benz of The Woodlands, where our signature service begins the moment you arrive at our dealership and continues long after the sale. Our qualified service technicians are trained to perform every type of work you could need on your vehicle, including general repairs and maintenance, factory recall work, warranty service and everything in between. Whether your vehicle has a dashboard light on, or if you just need a quick service at a reasonable price – the Mercedes-Benz of The Woodlands staff is capable and committed to doing quality work that meets the expectations of our customers. In fact, be sure to check our service specials online frequently for deals that will save you money on work like alignments and new tires. Come in and see us for problems large and small, and our service staff will take care of you and your vehicle.